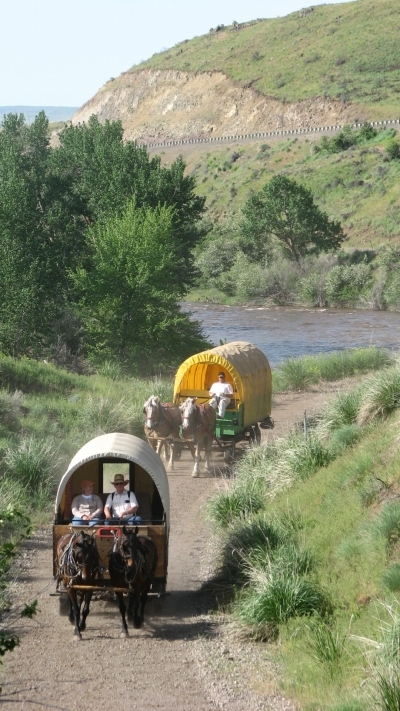 The Weiser River Trail is an 85 mile long rail-trail located between Weiser and New Meadows. It offers a variety of experiences for non-motorized trail users as it passes through desert canyons, alpine meadows and small towns. 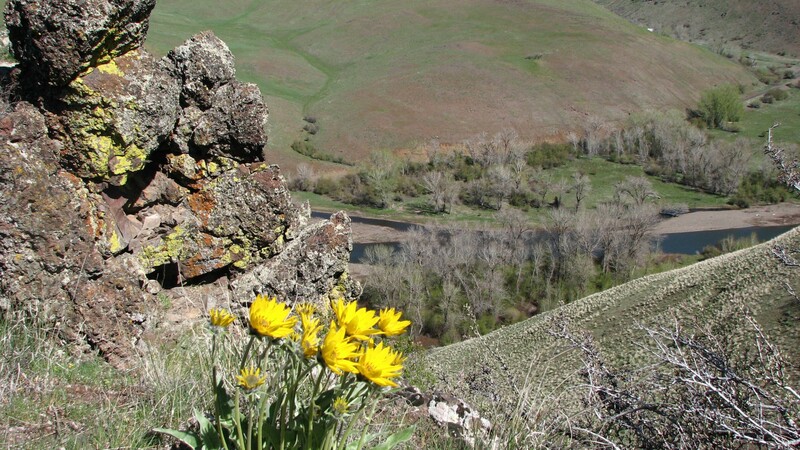 Location: Beginning at Weiser, Idaho, the trail runs northeasterly along the Weiser River for 85 miles, to the West Pine Trailhead, Follows Weiser River upstream from Weiser to New Meadows. From the Boise metropolitan area, travel west on Interstate 84 to exit #3, the Highway 95 exit. Travel north on Hwy. 95 for approximately 20 miles to the Weiser River Bridge located on the south side of the City of Weiser. The trail begins on the east (right) side of the Highway immediately after crossing the Bridge. From McCall, travel west on Highway 55 to its connection with Highway 95 at New Meadows. Continue traveling west on Highway 95 about four miles to Old Hwy.95 Road and follow signs to the West Pine Trailhead. Beginning on the south side of the City of Weiser, the trail runs northeast for 85 miles up to the West Pine Trailhead, approximately four miles west of New Meadows. Along the trail you will find every terrain from desert canyons to evergreen forests to alpine meadows. Users will see traditional farmhouses and barns, historical town buildings, a one-room schoolhouse, cabins, trophy homes and subdivisions. Highlights of the trail are the historic trestles. Some are constructed entirely of wood except for the new steel railings. A few relics of railroad history can still be found along the trail. 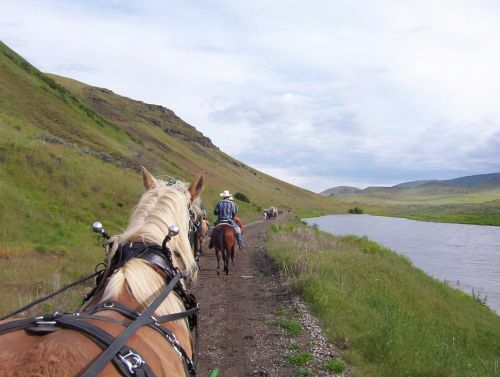 The trail offers a full range of beauty, from colorful wild-flowers in the spring to the reds and yellows of fall leaves, from green grass to brown hillsides, from cottonwoods to pines, and a changing river song from the rush of the spring runoff to the gentle flow of a late summer stream. Wildlife abounds. Deer are commonly seen, as well as chukars, quail, ducks and geese. Occasionally a trail user will come across an eagle, wild turkeys, blue herons, coyotes, bears, wolves, elk and possibly a mountain lion. Wild rainbow trout can be found in the adjacent Weiser River. There are four small communities along the trail that provide services to trail users. Weiser is the largest city and has many restaurants, motels and stores. Although Midvale is the smallest city trail users will still find a grocery store, café, bed and breakfast, and bar. Cambridge and Council both offer motels, RV parks, grocery stores, restaurants, and more. Bacon Valley. Photo by Friends of the Weiser River. Photo by Friends of the Weiser River. Goat crossing. Photo by Friends of the Weiser River Tr.